Planning to organize an event? Wanna promote your event online? Do you need an event website? If your answer is yes, you are at the right place. 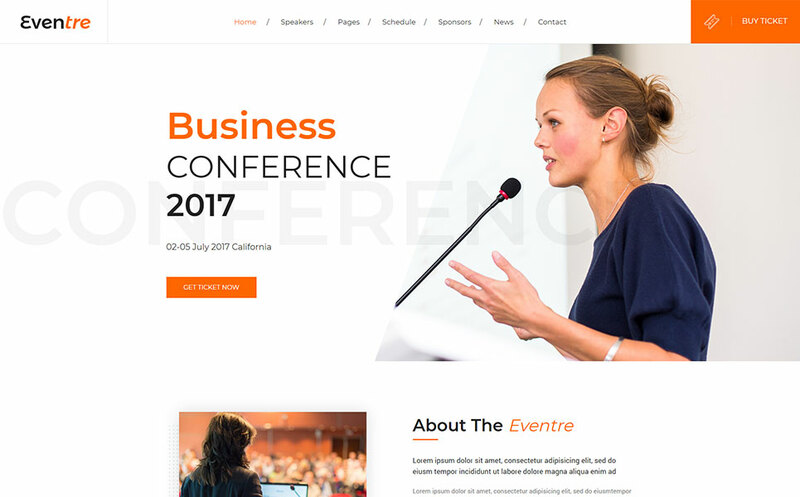 Eventre is a Bootstrap template specially designed for Conference, Meeting, Exhibition, Congresses, Event Management and more. It has come out with two different designs homepage, gallery page & four different designs news pages. You can manage your event's speakers, sessions, venues, sponsors, maps and tickets as well. It has also a single speaker (the speaker details about page), faqs and the feedback page. It is designed using the latest design principles that make it clean, modern and beautiful. And the well-structured coding allows you to customize this template easily.